Does it feel like life is spinning out-of-control? Do you look in the mirror and not recognize yourself? Has your relationship hit a flat spot, your career path feel unclear and unsatisfying, and nothing excites you anymore? If this is you, The Identity Shift can help end that downward spiral. In this beautifully written book, Lisa Wolny shares her story of how at age 30, with 2 small children, she suffered a debilitating stroke and was told she couldn’t have more children. Years later, the unexpected shock of a lifetime came when she had not 1, but 2 surprise babies. Multiple sleepless nights with 2 toddlers in diapers, plus the demands of a busy home with 2 teenagers, created an emotional storm that brought her to her knees. People saw her as an inspiration, but no one realized she was dying inside. In an explosive moment of inspired action, she took her life back, proving that rock bottom can be the greatest gift to ignite and fuel the fire within. 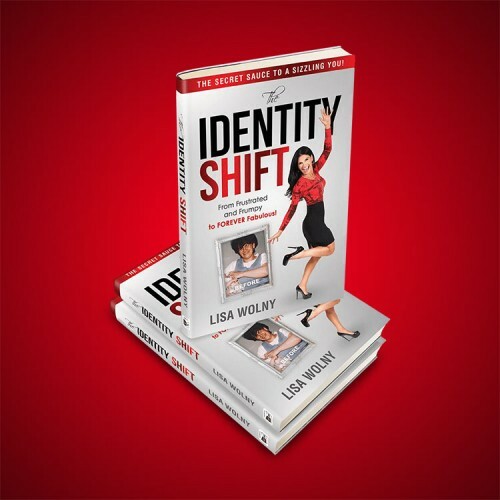 Lisa Wolny is an Entrepreneur and a top 1% worldwide Network Marketing Professional. A leader in all aspects of her life, Lisa is a mother of 4, a WBFF Pro Fitness Model, highly sought after Health and Wellness Coach, and Transformational Speaker. 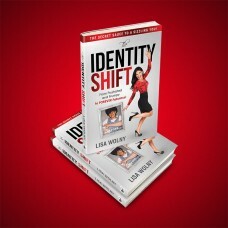 The Identity Shift is a triumphant story of recovery, hope, and renewal that shows how an overweight, unhappy, stay-at-home mom at rock bottom, transformed herself into a successful businesswoman, charismatic speaker, and international influencer while balancing the rollercoaster of a wildly busy family life.